 Jamison Chiropractic believes in the value of wellness care for you and your family and have maintained a pricing structure that allows care for all budgets. It is our desire to make chiropractic care affordable for everyone. Our office participates and accepts assignment in over 700 insurance programs. We also accept auto accident and workers compensation cases. For patients who have little or no chiropractic insurance coverage, flexible payment programs can be arranged. To learn more about our payment options for chiropractic and wellness care, you can call our office directly. We will verify your coverages, including deductibles, co-payments, and if massage or other therapies are covered. If you have a qualifying insurance, we will prepare and file your insurance claims for you. All copays/deductibles are due at the time of service. Health insurance policies are contracts between patients and their insurance company. You will be responsible any claim not paid within 120 days. We ask that you make our doctors aware of any changes in your current health condition, especially if you have been involved in an automobile or work place accident. Referrals to specialists are required for managed care programs. Please contact your insurance company's member services to confirm if your plan requires a referral. The phone number will be located on your insurance card. Referrals are issued by your primary care doctor. Your doctor will need our provider id to issue your referral. Please contact our office and we will be happy to assist you with this information. What if my insurance doesn't cover chiropractic? No need to worry! We accept self-pay patients as well. If you have no insurance or do not have chiropractic benefits there is still a way for you to receive the care you need. Many patients pay directly for care, as they discover chiropractic to be extremely cost-effective and affordable. We can work with you to establish a cost-effective treatment plan. We accept cash, check and credit cards. Copays and deductibles are due at the time of service. If you are unable to remit payment at that time, you will be billed, unless other arrangements have been made in advance. If we are billing your insurance carrier, our office will wait 120 days for insurers to pay their portion of your claims. You will be responsible for the payment of any claim not paid within 120 days.